Fitness hasn’t always been my thing. 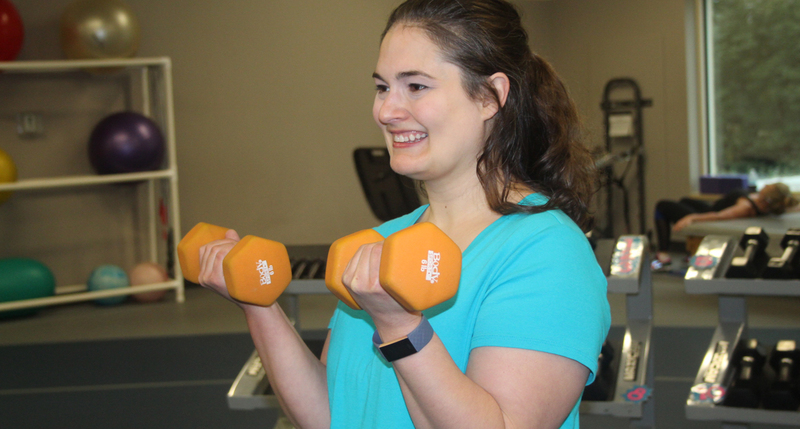 And really, I still wouldn’t say that it is “my thing.” But I can say that I am more active than I have ever been in my life and have come to really enjoy my time in the gym thanks to Woman’s Center for Wellness. I’m not a person who has struggled with fitness; I just never made it a priority. Growing up, I participated in classical ballet through my sophomore year in high school and that served as my primary source of exercise. When I was in college, I would spend time in the campus rec center, but it was never anything consistent. And it wasn’t that I didn’t want to be fit or lead a healthy lifestyle, I just had other things that took precedent, leaving fitness to take a back seat. As an adult, I would pass by Woman’s Center for Wellness and see the advertisements for it. I was always curious about it, I always heard good things about it, but never really took initiative to take the next step. That was until I found out that I was pregnant. I saw that there was a class for pregnant women and used that as motivation to get moving and get me inside the building. It was then I learned more about Fit for Baby, a prenatal fitness class designed specifically for expecting moms to help them throughout pregnancy and childbirth. I was really interested in the Fit for Birth classes because I wanted to have a natural birth, so making sure that I was mentally and physically prepared for that was really important. The classes were perfect! They helped me figure out my fitness level and how I could prevent problems from diastasis recti, the separation of the abdominal wall, with things like contractual breathing. Having other pregnant women in the class was not only fun, but also motivating, which helped me stay active and wanting to go to the classes. When it came time to have my baby, I was able to put what I learned into action and was able to have the natural birth I wanted without medication. Following the birth of my baby, I enrolled in the follow-up class, Fit After Baby. This was also a great program that helped me get back into the swing of exercising after having a baby. Again, it was helpful to have other postpartum moms exercising along with you, as well as your baby! Being able to share similar fitness goals with other women kept me motivated and having my baby with me kept me wanting to go to class because I didn’t feel guilty about having to leave him at home while I worked out. In fact, I enjoyed the classes so much that I repeated them when I got pregnant with my second child! I decided to remain a fitness member because after becoming a mom of two I realized I am now not only responsible for my health, but the health of my entire family. I believe that working out and being healthy during my pregnancies helped contribute to their overall health and well-being and now contributes to mine. I also want to be an active mom that can keep up with my boys as they grow, being a part of their activities and engaged in what they are doing. Being fit and staying active allows me to do that. 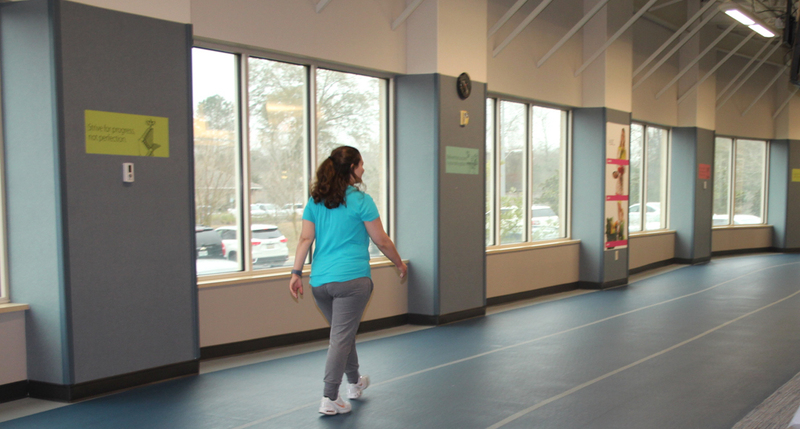 Woman’s Center for Wellness is such a great facility! The staff is so friendly and helpful. I really like that it is a women-only center, which may not matter to some, but to me it’s a big deal. And I love that there are so many fitness classes each week. There is always something new that I never get bored and am always able to change up my workout routine. Pilates, Soul Grooves, Refit, H.I.I.T. and Zumba are some of my favorites! 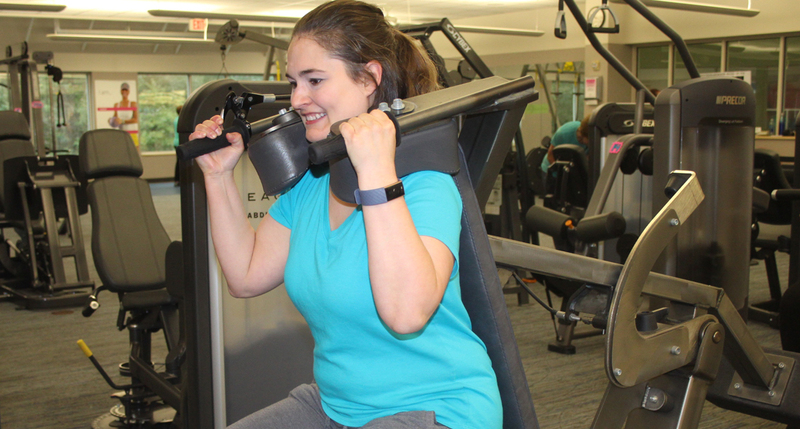 Like I said before, I wouldn’t say that fitness is “my thing,” but I would say that because of Woman’s Center for Wellness, fitness has become a priority in my life. Their programs and staff help keep me motivated and wanting to come back. Knowing that there is a place for me there and a group that supports me and my specific fitness goals is unique and that’s why I’ll continue to be a member. I love it there!